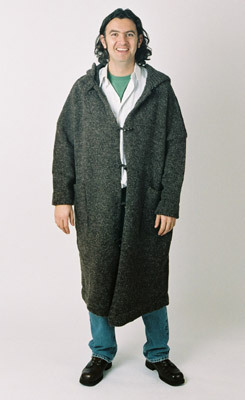 Huge, long duffel coat in wool and cashmere grey marle. Big hood, big pockets and totally enveloping. Features 1920's buttons.